This survey chronicles the challenges facing the nonprofit sector. The picture painted by this survey data reminds us of how far we have come. But it also points toward the work that remains to be done if we truly value the organizations that exist to enrich our lives and communities. While many have developed and carried out new, creative ways to engage audiences, visitors and supporters, those strategies have not necessarily resulted in greater financial resilience. 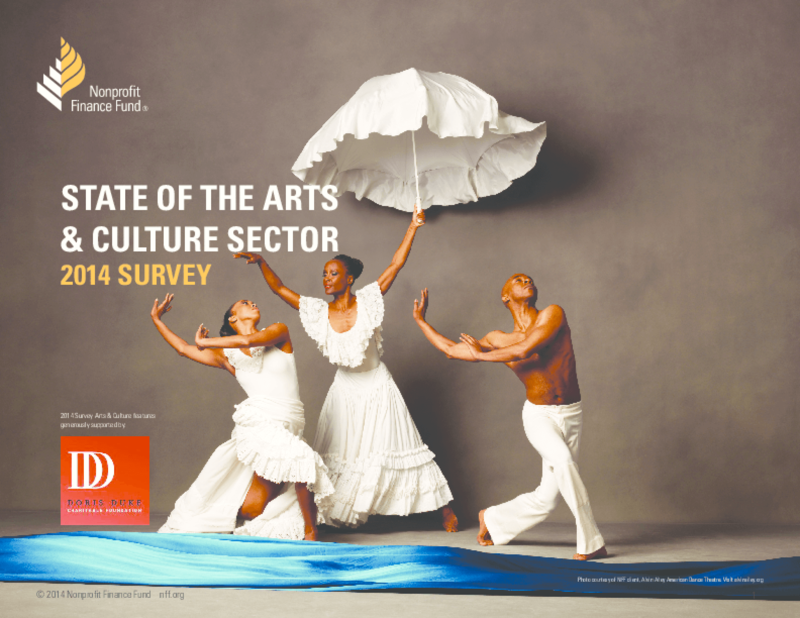 And while half of arts respondents reported expanding their programs last year, funding restrictions continue to leave many grappling with challenges like uneven cash flow, few or no reserves, and aging or under-resourced facilities. This report focuses on systemic barriers within the arts funding system -- as well as the actions and strategies that arts organizations are taking to cope with those barriers, while adapting to a world in artistic flux. Copyright 2014 Nonprofit Finance Fund.